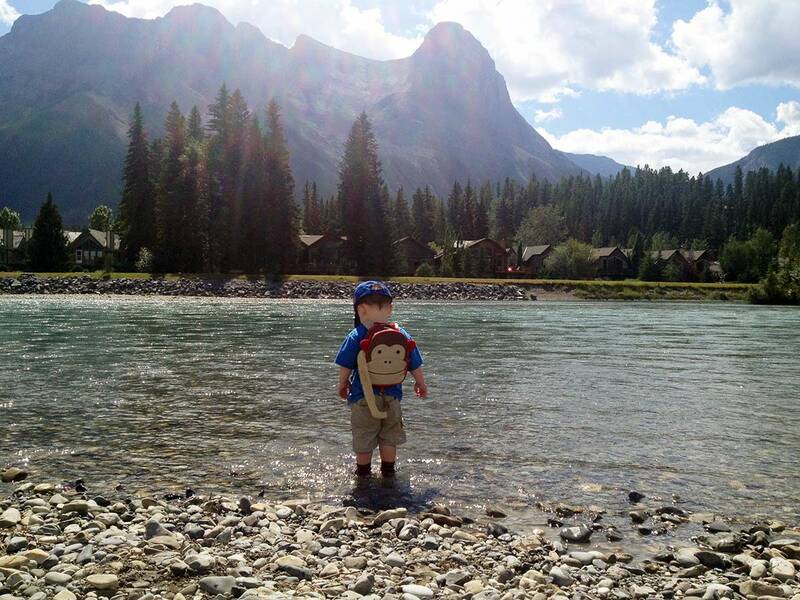 This is one of Canmore’s best family-friendly walks, and a great hike to introduce somebody to Canmore! 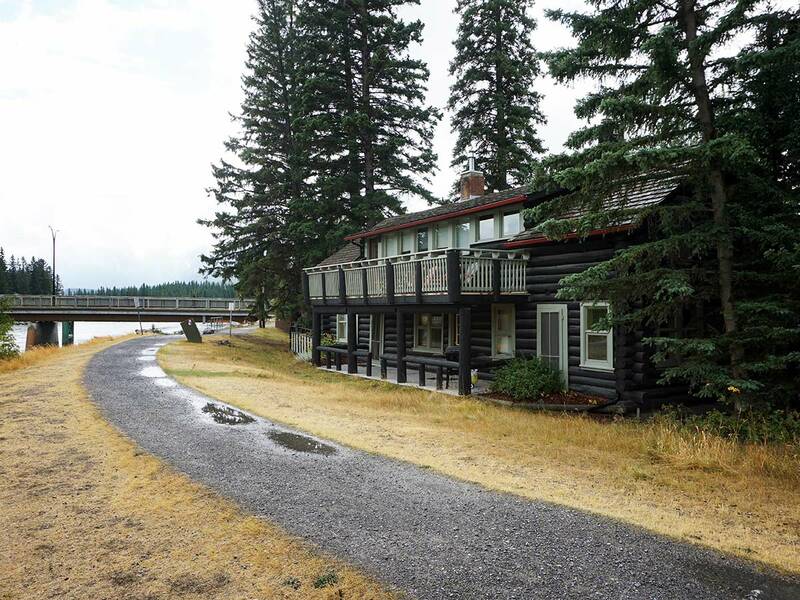 Starting along Main Street you then walk down to the Bow River and then along the Spur Line Trail. 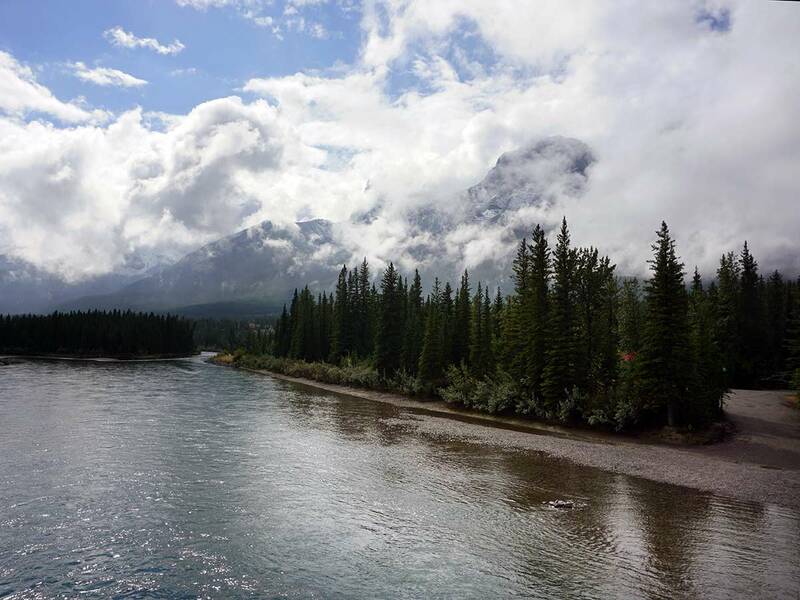 Here you cross the Bow River on the historic Canmore Engine Bridge and then walk along the Bow River, eventually reaching Riverside Park. This is a family-favorite hike you’ll do again and again! The map shows starting at Rebound Cycle, however you can start this hike anywhere along Main Street (8th Street) in Canmore, Alberta. 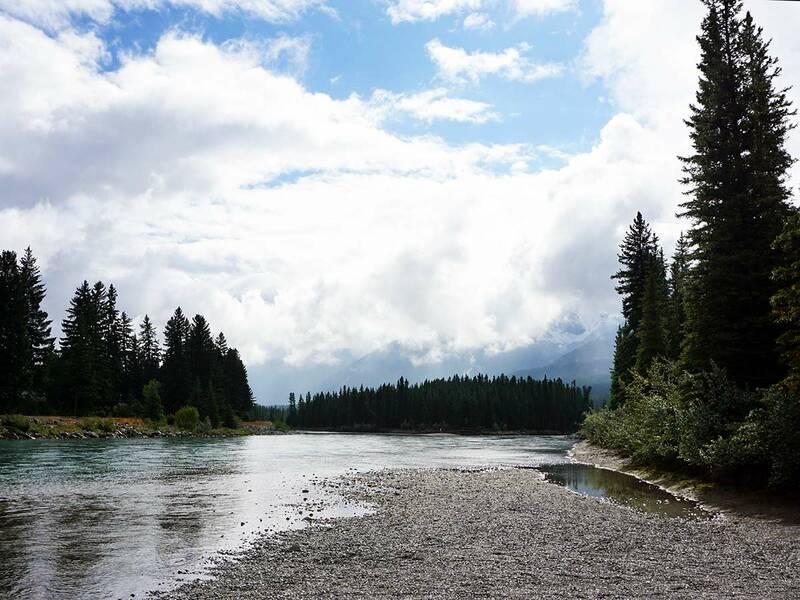 This great family-friendly hike that takes in some of the best of Canmore is perfect for families or people who want an easy way to explore the beauty of Canmore. You can start this hike anywhere along Main Street (8th Street). We love to start at Rebound Cycle as it allows us to walk the entirety of Main Street. Main Street is a great little street, allowing you to stop to pick up coffee and pastries as well as window shop the fun shops here.  Starting at Rebound Cycle, consider stopping in to look at their bikes. They rent bikes in summer and winter, and this is a great shop if you want to try one of the many great bike routes in Canmore and Banff. From Rebound Cycle, walk east along Main Street (8th Street). You will see some wonderful shops. We love looking in at Café Books. It’s one of the best little bookstores around. We also love getting some bagels at Rocky Mountain Bagel to keep us going during our hike. And we can’t forget the Rocky Mountain Soap Company, their bath salts are great after a long day hiking. After crossing over 7th Ave, you then come to Valhalla Pure, one of Canmore’s great gear shops. Just after Valhalla Pure is the Good Earth Café, another great Canmore coffee shop. Crossing 6th Ave, you’ll pass Stonewaters, a home décor store with a great selection of items perfect for a cozy or rustic cabin. After that, there is the popular Grizzly Paw Brewing Company. Continue going east until you come to a pond on your left. After the nice views of the pond, cross the road to the south side of Main Street and head back west. You’ll pass the NWMP Barracks first. These barracks were built in 1893 and are now open year-round and worth a fun visit. Continuing down main street you’ll come to a fun curio shop, The Tin Box. Crossing 6th Avenue you will pass some wonderful galleries before reaching Olde Tyme Candy Shoppe. We love stopping here and getting some tasty candy treats! At the end of this block you have the entrance to a great Canmore restaurant, Murrieta’s Bar and Grill. Located on the 2nd level, if you can get a window seat as the sun sets you’ll be in heaven! Around the corner from 7th Avenue is one of our favourite coffee shops, Beamers Coffee Bar. We love to stop here for a great Cappuccino. On the other side of 7th Avenue is Mountain Mercato, your place to find great Italian products, especially if you want to carbo-load for a big hike! Now you’re back at Rebound Cycle, which you pass on your right as you continue going west on 8th Street. Take your first left onto River Road and then a quick right down a pathway against a fence. This pathway takes you to a path that hugs the Bow River, where you should turn right. The path now goes into a forest, with the Bow River on your left for about 400m (10 minutes). 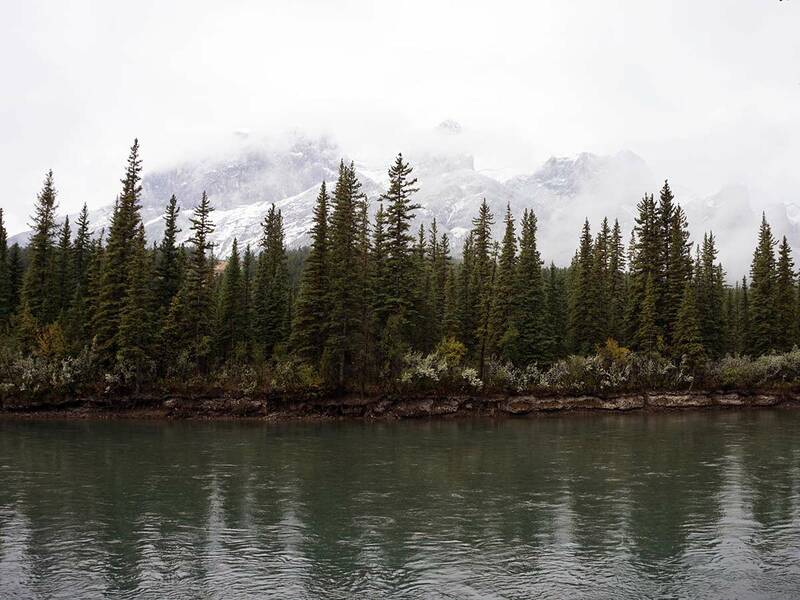 There are rough paths that can take you down to the Bow River at intervals but be careful as these aren’t maintained. Be especially careful if you have children, as you wouldn’t want them to fall into the Bow River. After about 10 minutes in the forest you will come to an old railway bridge on your left. 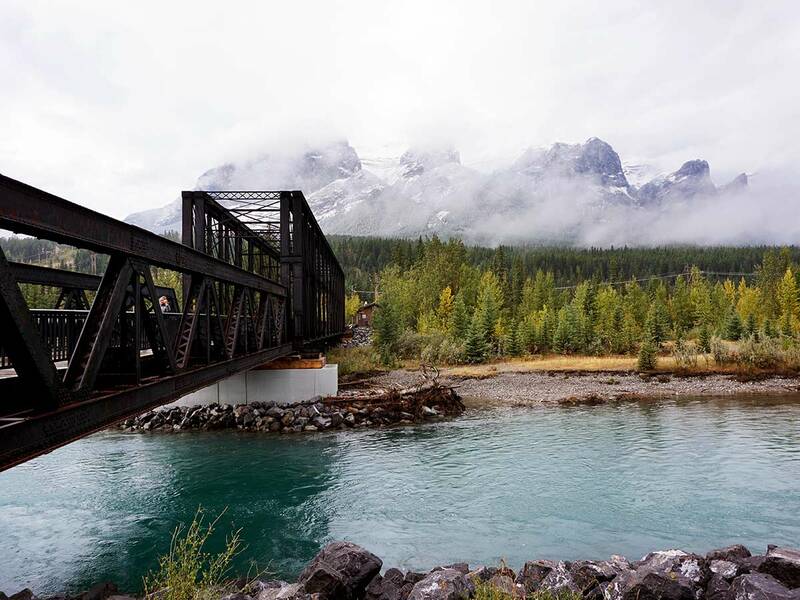 Known as the Canmore Engine Bridge, this is a common location for professional photographers, so don’t be surprised to see a wedding party here. While it may look tempting, do not try and jump off the bridge, the river is surprisingly shallow here and jumping could cause major injuries or death. 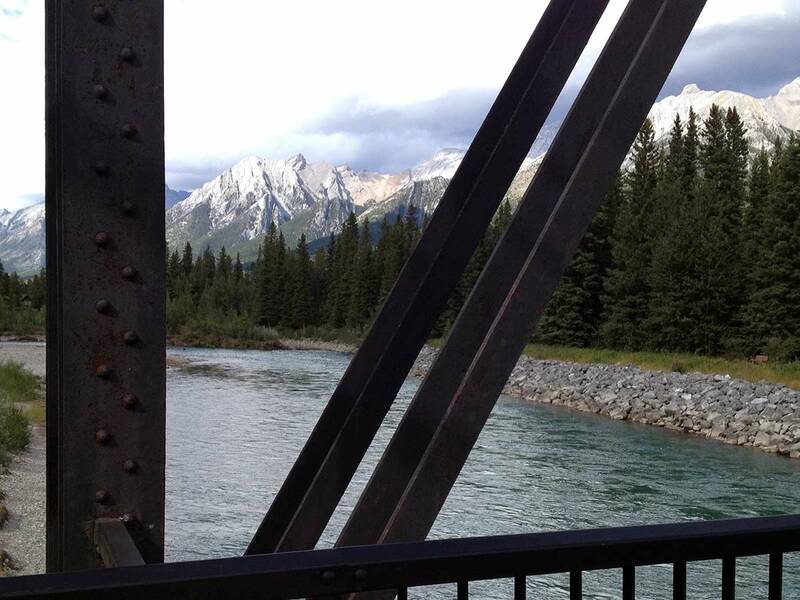 Cross the Canmore Engine Bridge and take the Spur Line Trail on a raised path through the trees. The path curves to your left and eventually you cross the Bow River again and you reach the Rundle Hydro Plant. Cross the bridge that goes over Dam outflow. From this point you can hike up a set of stairs on your right to get to the Canmore Nordic Centre if you want to make this trip longer. For our trip, don’t go up the stairs, but continue ahead along the Bow River, walking along a service road for the hydro plant. When the path soon splits continue left, hiking along the Bow River. Soon you come to a bridge that goes over the Bow River. Go under the bridge and come up on the other side, then cross over the bridge. Once on the other side of the Bow, cross the road and then follow the path along the Bow River. You soon enter Riverside Park, a great place to relax, have a picnic or head down and throw stones into the Bow River. Walking through the park, keep your eyes open for your path that you originally came down (it’s on your right). When you see this path, take it and come back out on River Road. Go left here and then take your first right (8th Street) and you are back at Rebound. 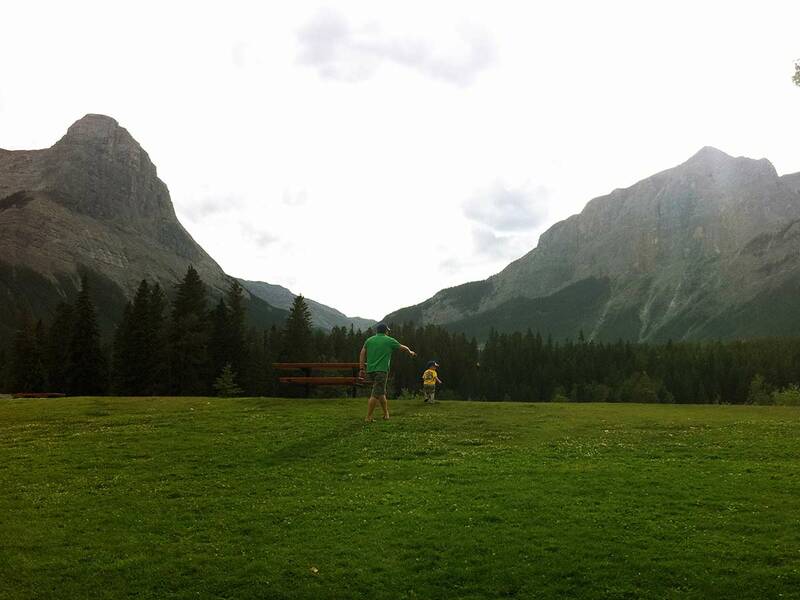 This is a great trip to spend a half-day in Canmore, especially with kids. The path is suitable for strollers and you can hike directly from your car. 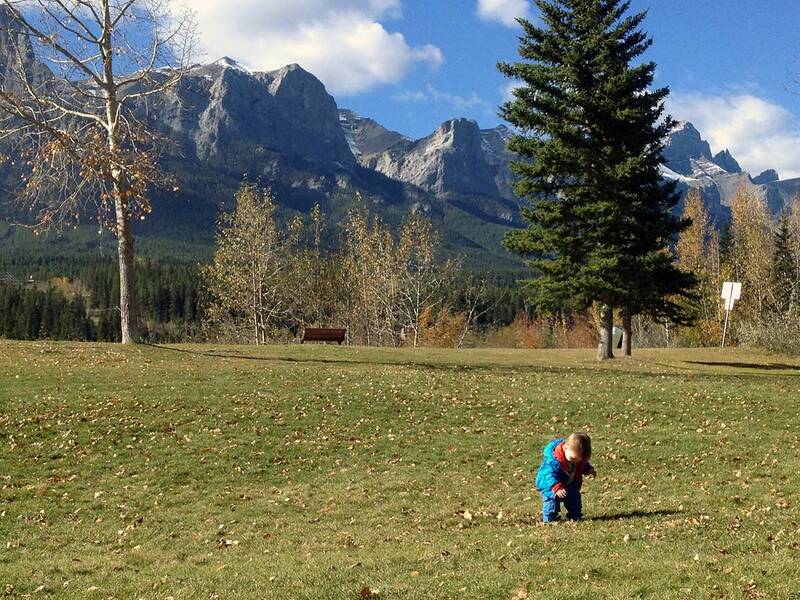 We love supporting local Canmore businesses, and we have shared some of our favourites. These are great places to find a snack or pick up the perfect souvenir from your trip. 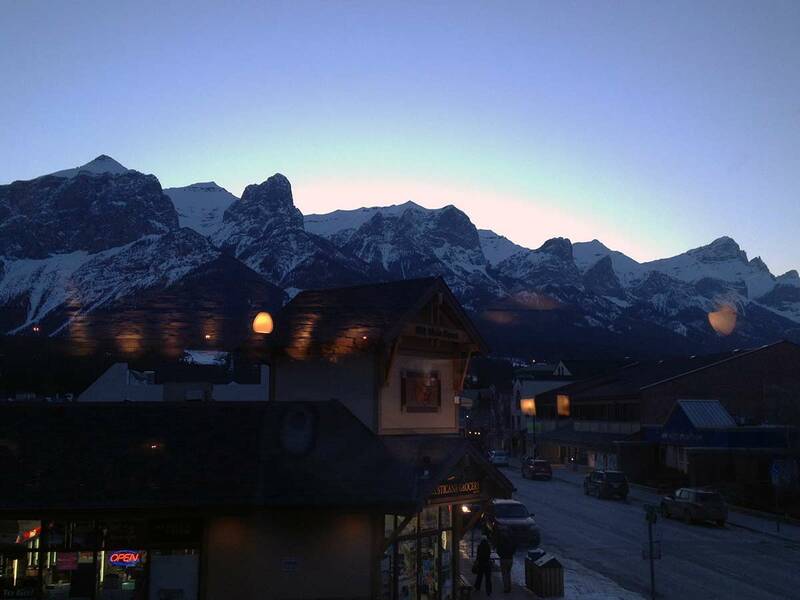 Canmore can get very busy on weekends and holidays, especially if it is nice out. Get there early to get a parking spot. There is more parking south of Main Street in between 7th Ave and 6th Ave.
Great easy walk for the kids when we're in Canmore for the day.